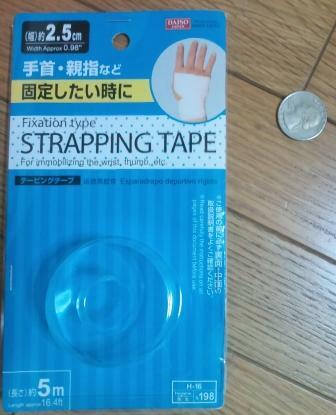 Strapping tape = 105 yen ($1.05 €0.81) - How much is it in Tokyo? My dauther complained that her joint of the thumb had pain. 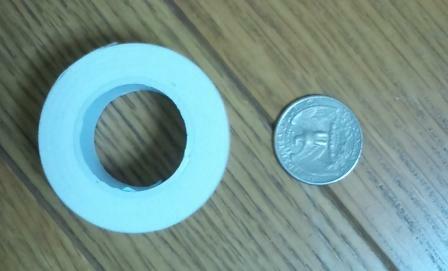 My wife bought a strapping tape to hold the joint at a 100 yen shop. It cost 105 yen ($1.05 €0.81). It is 5 meters long and 2.5 cm width. 4-years-old boy accidentally dropped into a river and died. His sister entered into the river to try to rescue him. She drowned also, and her body was found on July 11th. The water level of the river was higher than usual at that time because of heavy rain.